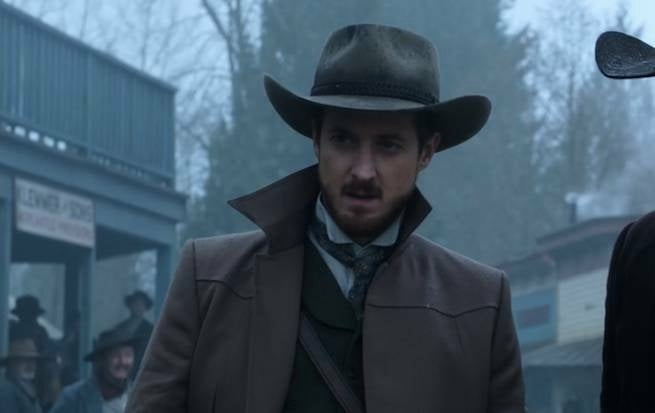 Legends of Tomorrow: Things You May Have Missed In "The Magnificent Eight"
A trip the Old West proved one of the most entertaining episode of DC's Legends of Tomorrow this season, and introduced a beloved DC Comics antihero to the series in the process. 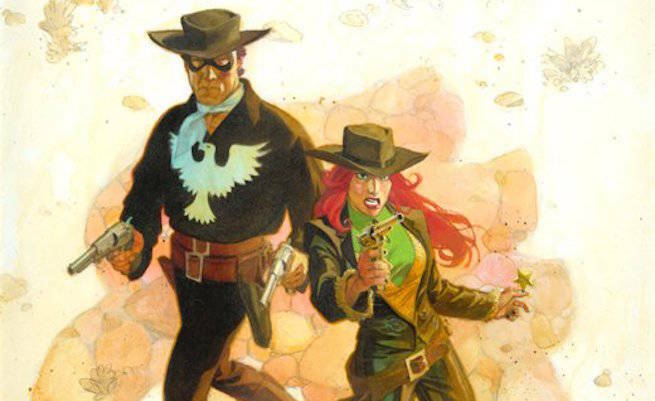 Because of the nature of being in the Old West, one would think you wouldn't have a ton of opportunity to make DC Comics references, right? Well, guess again, Pardner. Even the title is a reference! 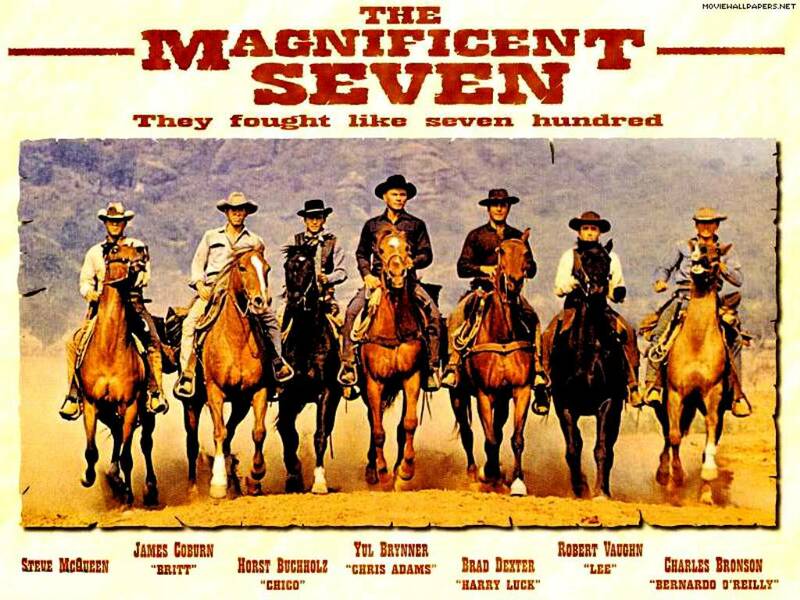 The Magnificent Seven is one of the most beloved Westerns of all time. It's also a source of constant inspiration for filmmakers, both in terms of the character archetypes it popularized (though not created, since it's a remake of Kurosawa's Seven Samurai) and in terms of actual remakes, the latest of which just had a trailer earlier this week. 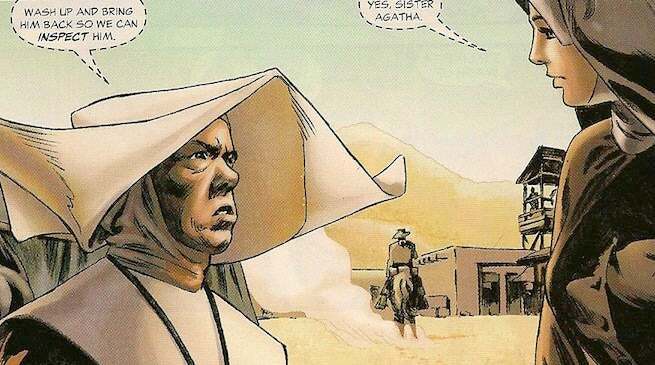 Salvation, Texas, was the name of a town featured in a 2006 Jonah Hex story. In that tale, the town wasn't run by criminals, but by a particularly controlling sect of nuns. Ultimately, Jonah's presence wasn't any good for the status quo in Salvation...at least not for the nuns. One of the storefronts in Salvation features a pretty familiar name to DC Comics fans: Kubert. In this instance, it’s likely a nod to Joe Kubert, whose work on Jonah Hex comics helped to craft the look of the character’s early years. Kubert, of course, also worked on a lot of classic Hawkman stories, meaning that his influence has been felt quite a bit on Legends. This is the big one, obviously. While Hex's origin is that of a post-Civil War bounty hunter, he's had some time-travel adventures himself. In the DC Comics Universe, when he found himself flung to the far future after the events of Crisis on Infinite Earths. Jonah Hex was adapted into a 2010 film starring Josh Brolin. The character has been voiced in animated form by Adam Baldin and Thomas Jane. This was a little precious for me, but every time travel show has to have a few of these. The child Stein saves in the episode is actually a young H.G. 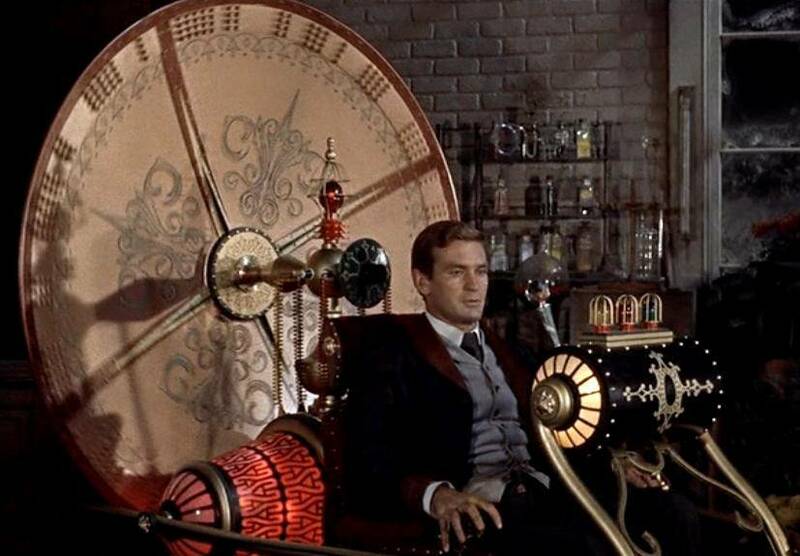 Wells, whose The Time Machine is widely regarded as one of the earliest and best novels on the topic of time-travel. This also suggests that Wells was "meant" to be saved -- not unlike how Booster Gold got out of trouble with the police of the future by proving that history showed his exploits, and he was always destined to be there. I guess Ray had to go with John Wayne because Clint Eastwood was taken by Marty McFly? 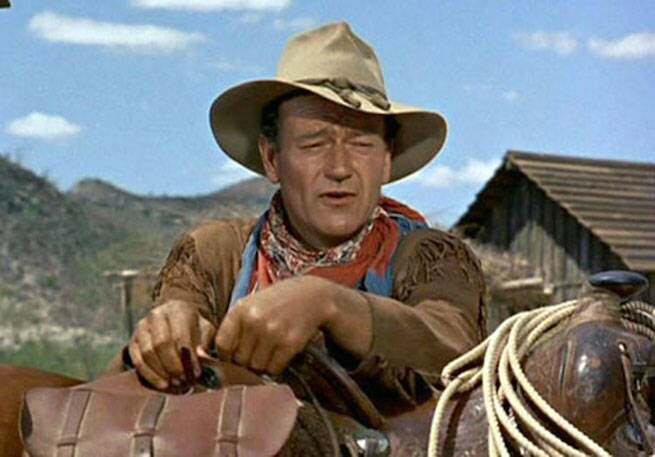 John Wayne, pictured above, is arguably the most famous movie cowboy of all time. Turnbull, the man who's responsible for the sacking of Calvert, OK, is a Jonah Hex villain from the comics. 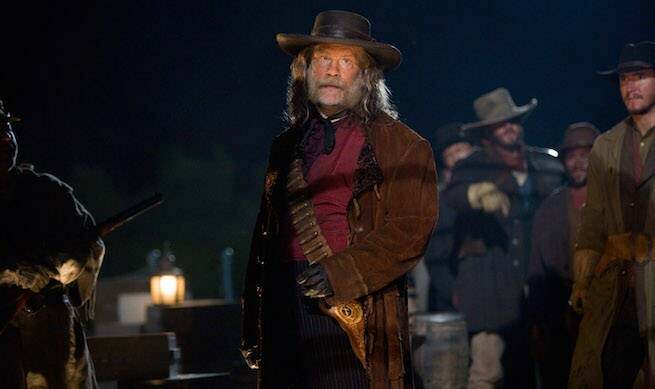 He was also the principal antagonist in the Jonah Hex movie, as played by John Malkovich. Hannibal Hawkes isn't just the Old West hero Nighthawk, but in modern stories it was revealed that he was, indeed, one of the many lives of Prince Khufu/Hawkman. ...and does that make the Old West version of Kendra a stand-in for Cinnamon?! 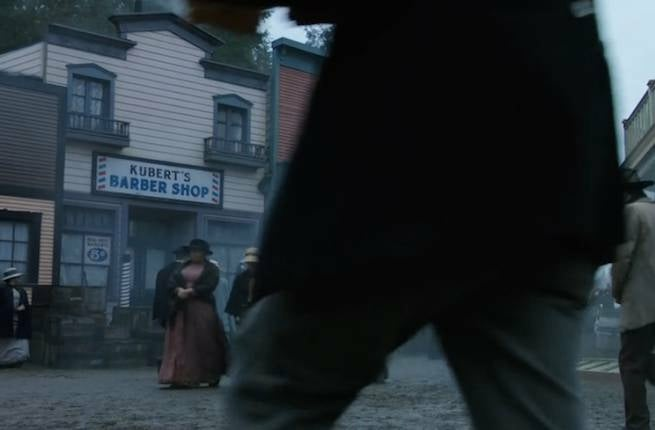 One of Salvation's storefronts is that of "Klemmer and Sons," apparently the business owned by Phil Klemmer's family. Klemmer is a writer and producer on Legends of Tomorrow. 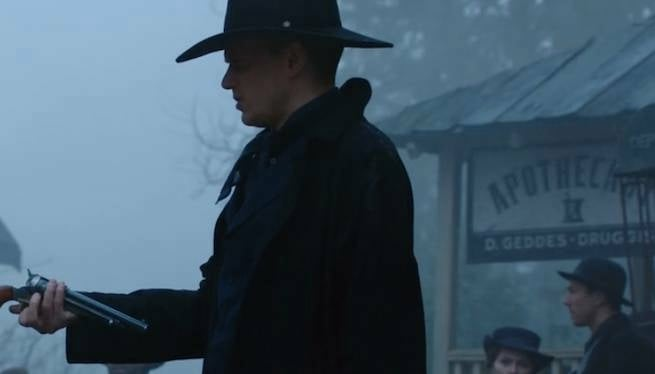 ...we're guessing that's a nod to David Geddes, who directed last week's episode of Legends of Tomorrow, titled "Progeny."